Hello everyone! I just wanted to drop a note here about forum membership, donations and VIP Accounts. Some of you became offended by the recent removal of the edit button. We originally removed it from the general membership but not to make it a perk for VIP members...it was just the easiest way to control access due to the larger amount of general members and was never considered to become a perk for VIP members. The main problem with the edit button is that anyone can go back and edit out important information from their own posts which affects the forum's archives and thread continuity. We like to think of this forum as an archive of information that will help 71-73 Mustang fans for years to come...but when information can be deleted by someone that had a bad day or was offended by something, it is hard to replace! However, we also see the need for the edit button so members can fix typos, update info and much, much more. After much discussion, the staff has agreed to replace the edit button for all members but we would like to ask that you don't delete any useful information about 71-73 Mustangs that you may have posted and continue to post detailed info that will help us to continue to build the world's best online 71-73 Mustang Resource!! These website pages will be available at no cost for generations to come and we will never be a paid site! VIP memberships are available for those that wish to help support the forums and several small perks are offered to donators, but primary forum functions will always be available to members at no cost!! We certainly appreciate ALL donations and encourage everyone to become a VIP member but it is purely optional. If you would like to become a VIP Member, be sure to visit our donation page at the link below but again, it is completely optional! Donations are used to help support the server and hosting costs as well as domain fees and software maintenance. Thanks you to everyone reading this post - regular members and VIP's alike! You guys are the ones that really make this a great site and a world class 71-73 Mustang resource!! For the past year or so Eric (Mister 4x4) has been active behind the forum's driver seat turning the wheel and adjusting the radio station as an Administrator. He brings a wealth of SQL programming knowledge to the team that has translated into tweaks to make the forum run better for all of us. Today we thank Eric for his efforts and publicly/officially announce a job well done! Please join Barry, the 7173 staff and myself in congratulating Eric on his new job assignment as an Admin (and his forthcoming fair share of answering complaint mail from the rest of the members, hehe). Hey guys! We are happy to announce that Rocketman's Classic Cougar (and Mustang) Innovations is now a 7173Mustangs.com supporting vendor!! We are in the process of signing up most of our advertising vendors for another year or two so be sure to show your support with your hard earned dollars as well as a big thank you to them for helping to support this great forum!! If you still aren't too familiar with our vendors, check out the Marketplace link below! These guys know their stuff and have been valued supporters of 7173Mustangs.com for several years now! Vendors, In addition to forum banners, I am going to try some social media advertising for you guys as well! Hopefully we can reach even more Mustang Fans! I would like to congratulate Eddyw on his April 2016 COTM win, his car was submitted by his daughter Webdizz. Soon we will be ready to start voting for the May Car of the Month (COTM) you can start entering your cars. Be sure to get your entries in by the April 15th, and remember hit the "LIKE" button on the car you would like as next month’s winner! To check out Webdizz Dad's car (eddyw) entry follow the link below. I'm a little behind this year, so I'm catching up on the COTM threads. I would like to congratulate The Following Members on there COTM wins. sgtbromen on his January 2016 win. RWR on his Febuary 2016 win. Soon we will be ready to start voting for the April Car of the Month (COTM) you can start entering your cars. We need entries!!! Be sure to get your entries in by the March 15th, and remember hit the "LIKE" button on the car you would like as next month’s winner! To check out their entry follow the links below. EBSTANG just got bumped to VIP! Congratulations, EBSTANG! Someone has anonymously donated a VIP Membership for you! Be sure to post a big THANK YOU! We have already had a few early testers on the Donation System! One came through as an anonymous upgrade for MrMach1! Congratulations! You are now a VIP Member!! ...and a huge Thank You to the anonymous donator for hooking MrMach1 up with his new status! 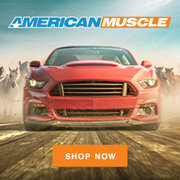 Attention all 7173Mustangs.com Members we need members to nominate their cars for the COTM (car of the month) contest. Members have from the 1-15 if every month to enter your car, at that point other members can vote for the car they like. Then at the end of each month caspianwendell and I will count the votes on the cars submitted for that month and announce the winner. The winner will have his or her car displayed on the 7173Mustangs.com home page for the month they won, and get a page in the 2016 calendar for that month. All of the other cars will get rolled over to the next month contest. if you see a different car you like you can change your vote. A few pictures and a nice description of your car is all you need. Remember it doesn't matter what condition the car is in, restored, unrestored, in the middle of being restored, just enter them!!! Winners will be posted in the COTM feature block on the Portal page for 1 month plus they claim a spot in the month that they won for the upcoming year's 7173Mustang.com Calendar! To enter your car, just visit the submissions forum and choose your class...On the Road/Drivable cars or cars that are in Restoration Phase. Both classes have equal chances of becoming a spotlight vehicle! Post some photos and information about your Mustang. Tell the history of it or how you acquired it. The more interesting the better! The voting is mainly designed to help select which car wins each month. The car with the highest number of LIKES will be declared the winner at the end of each month and will be promptly moved to the Current Month's Spotlight forum. At that point, the next car with the highest number of LIKES will assume the lead for the next month and voting will continue. New submissions are welcome at any time during the process. Voters can LIKE or UNLIKE a car at anytime. They are also allowed to LIKE as many entries as they wish. The votes will work out to point to a winner each month. In the event of a tie, the staff may choose the winner in a private tie breaker vote. The contest is all for fun and we don't expect or welcome any "sore losers" or unfriendly remarks in any way. So keep it fun and keep those entries and votes coming! If you have any questions...please post them here! If you are looking for information and would like to see what has already been discussed, please utilize the SEARCH options for this site. They are easy to use and offer large volumes of great discussion on related subjects. Some really great pics too! You can always add your new post to the older thread to keep the excellent information flowing.